As per an assessment, Union minister Upendra Kushwaha has a significant voter base in around 20 Assembly constituencies. Patna: With RJD leader Tejashwi Yadav extending fresh offers to RLSP chief Upendra Kushwaha to align with the Mahagathbandhan in Bihar, questions are being raised whether RJD or other grand alliance leaders would accept him as a chief ministerial candidate for 2020 Assembly elections. Rashtriya Lok Samata Party (RLSP) wants Mr Kushwaha as a chief ministerial candidate in the next election, pointing out that he represents the Koeri community which forms about 10 per cent of the state population. As per an assessment, Union minister Upendra Kushwaha has a significant voter base in around 20 Assembly constituencies. Political analysts are of the view that Mr Kushwaha, who has been demanding to contest on more seats than Nitish Kumar’s JD (U) in 2019 general elections, has been weighing his position in the NDA through his speeches and statements. 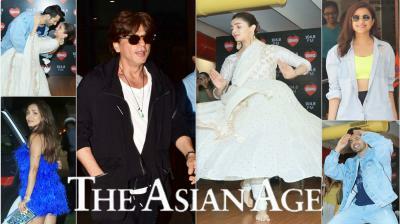 The BJP, however, does not want to give him more than two out of the 40 Lok Sabha seats. This is one less than the three seats RLSP contested in 2014. Hindustani Awam Morcha (HAM) chief Jitan Ram Manjhi recently said that his party along with other partners of the Grand Secular Alliance in the state was not willing to accept Mr Kushwaha as the face for 2020 Assembly elections. His take on the issue was that Mr Kushwaha has been keeping both the NDA as well as the Grand Secular Alliance in the dark by his statements and if he was willing to leave the NDA, he should take a decision regarding the issue at the earliest. “Upendra Kushwaha can’t sail in two boats at the same time,” said Mr Manjhi. Buzz of a split within the NDA was created after Mr Kushwaha gave hints of seeking support from dalits, Yadavs and the minorities while addressing a gathering in Patna. A week earlier, Mr Kushwaha had created a flutter in the political corridors by saying that “Milk from Yadavs and rice from Kushwahas will make a good ‘kheer’ and now no one can stop this delicious dish from being prepared”. His statement was being seen as his hint at joining the RJD-Congress-led Mahagathbandhan in Bihar ahead of 2019 general elections.However, Mr Kushwaha later took a U-turn and said that political parties misunderstood his “kheer statement”. Mr Kushwaha’s discomfort in NDA can be judged from a statement he gave in July. He said Nitish Kumar should quit from the post and make way for other leaders. “This cannot be seen as any politics when I ask him to step aside and give other leaders a chance to perform as the chief minister. He has been holding the post for almost 15 years now and the time has come when he should take bigger jobs for himself,” the RLSP chief had said. Earlier this month, Mr Kushwaha also criticised the Bihar chief minister for “deteriorating law and condition” after a leader of his party was murdered in Vaishali district. RJD leaders, including Tejashwi Yadav, had grabbed the opportunity by extending invitations to the RLSP chief. 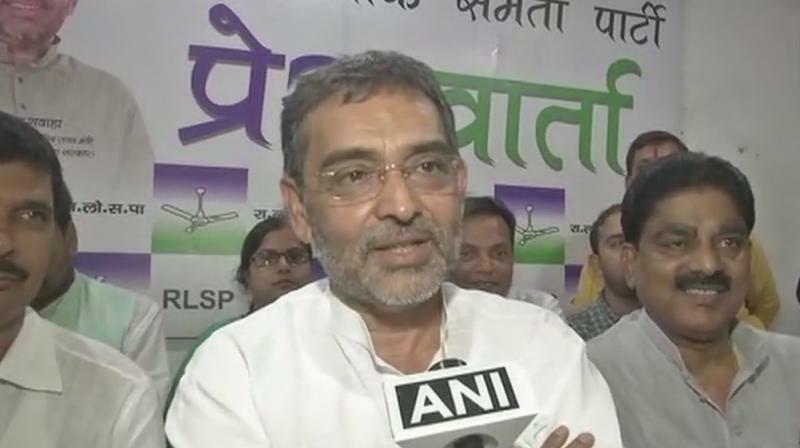 RJD vice-president Raghuvansh Prasad Singh while pointing at the ongoing rift between the chief minister and Mr Kushwaha predicted a split within the NDA. He, however, refused to comment when asked whether the party would accept RLSP’s demand to project Mr Kushwaha as the face of a chief ministerial candidate for 2020 Assembly elections.